Women’s Media Group mourns the loss of Joanne Zimmerman, a member of the Roslyn Group for Arts and Letters. She was a writer who wrote beautiful stories about family and childhood. A gentle woman whose work, ideas and presence will be greatly missed. Joanne Kuper Zimmerman, of Homewood, IL, died June 4, 2011, at Northwestern University Hospital, at the age of 89. She is survived by her three children, John (of Westhampton, MA), Jim (of Pleasantville, NY), and Kathy Topete (of Reedley, CA); and her long-term partner, Glenn Merritt (of Homewood); she was loved and will be deeply missed by her six grandchildren; her one great-grandchild; and numerous relatives and friends. She was predeceased in 1995 by her husband of 52 years, Howard Zimmerman. Joanne was born in Chicago, IL, and was a Homewood resident since 1951. 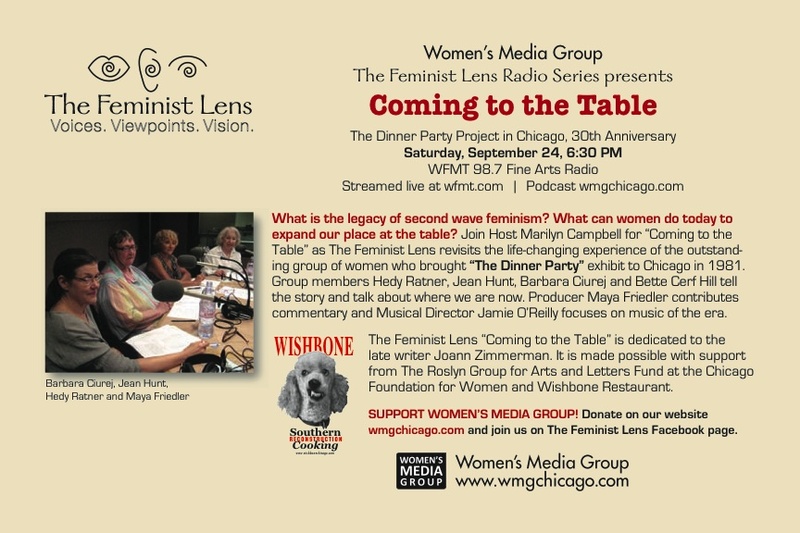 She was a successful and published writer, and was active in many charities and area political and cultural groups, including the South Suburban Human Relations Council, Amnesty International, the Chicago Heights Drama Group, the Forty-Odd Players, and the Roslyn Group. In lieu of flowers, please consider a donation in her name to a charity of your choice. A memorial gathering is planned for July 30, in Homewood. 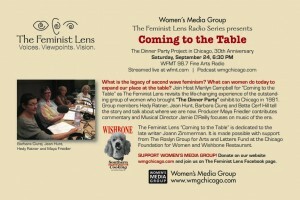 Women’s Media is dedicating our September 24 The Feminist Lens radio show “Coming to the Table,” to Joanne. Her friends at the Roslyn Group have made a contribution in support of the program series in her name.